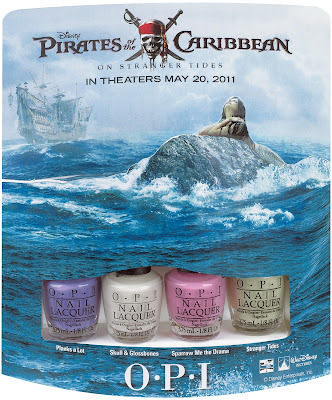 From collaborations with singers Justin Bieber and Katy Perry to the cast of mega-hit TV show "Glee," OPI enjoys bringing a dash of fun and pop culture to nail polish. The popular nail brand is taking it to a new level with the Brights by OPI collection. 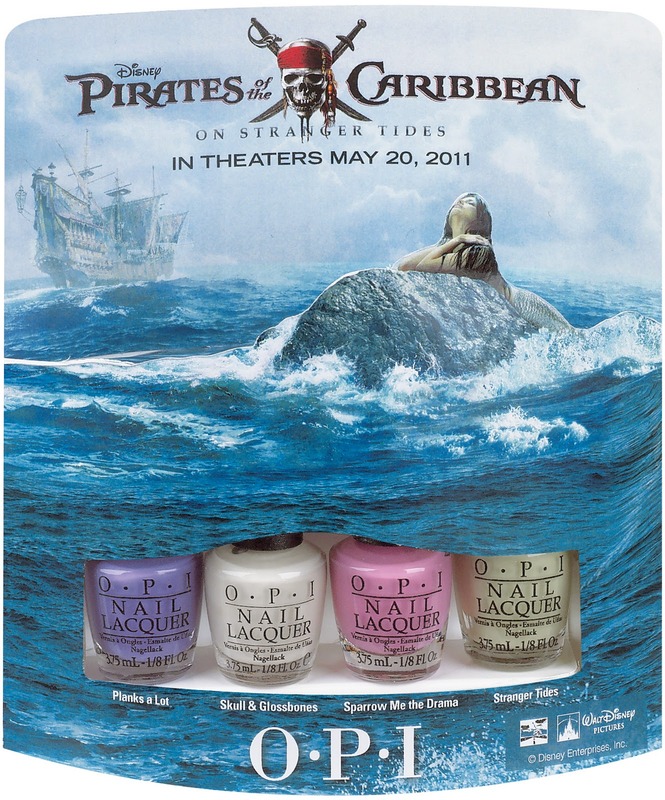 Inspired by the highly anticipated Disney movie "Pirates of the Carribbean: On Stranger Tides," the nail booty is bursting with brightly colored nail lacquers that embody the wild escapades of stars Johnny Depp and Penélope Cruz. The collection will be available May 1rst. I'm looking forward to this collection. Some of the colours are really unique. HOWEVER i don't really think of these colours when i think of pirates.